Every Day Carpet Cleaning Fountain Valley for Your Convenience. We offer carpet cleaning Fountain Valley with all the services every day and on the same day. In addition, we offer upholstery cleaning, air duct cleaning, dryer vent cleaning etc. We understand the need for immediate carpet cleaning response. Also, we get many calls for emergency water damages and floods. Therefore, we work over night as well. In addition, we offer commercial carpet cleaning solutions at after hours as well. Our carpet cleaning process is composed of 5 step system. Also, we use green carpet cleaning solution for your safety and the safety of your loved ones. Please contact us for more information about your carpet cleaning Fountain Valley needs. Air Duct Cleaning Fountain Valley. Air duct cleaning Fountain Valley is a fantastic addition to carpet cleaning and upholstery cleaning. Our air duct vents, in case they are not clean, will circulate dusty air and spread allergies around the house. Therefore, we recommend a deep air duct cleaning periodically, so when you turn on the air, its not hard to breath. We can help you solve years of dust and gunk residue that stuck to your air duct vents.Dryer Vent Cleaning Fountain Valley.We must start our advise about dryer vent cleaning by saying “Be Careful”. Dryer vents tend to get clogged periodically, which means it has a risk of catching on fire. In case your dryer vent is clogged, call us. We will come on the same day to clear up the dryer vent, so you can dry your laundry again. Dryer vent cleaning Fountain Valley is a top priority for us. Please contact Dr. 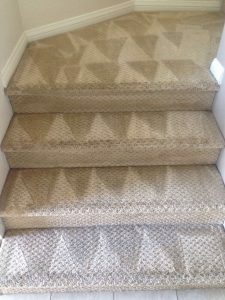 Carpet Irvine for more information about our carpet cleaning Fountain Valley Services.